Alfred is a keyboard-driven productivity application, helping you launch apps and search your local computer as well as the web with great speed. 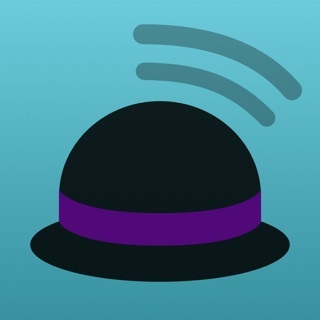 * Leo Laporte's MacBreak Weekly Pick of the Week April 2011 & more! 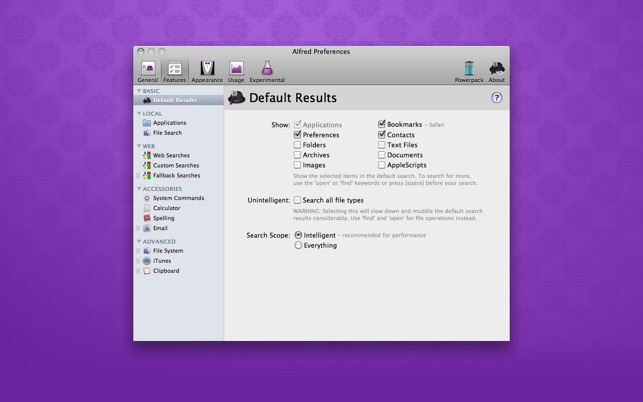 * Search your Mac: Quickly find and open files, bookmarks, contacts, music and more. You will never again have to wonder just where you saved that important document. * Search the web: Search or launch your favourite websites: Maps, Amazon, eBay, Wikipedia and many more. * Calculate and Spell: Just start typing to do a quick calculation or look up spellings, definitions or synonyms and antonyms. * System Commands: Control your Mac with speed and efficiency. Empty trash, start the Screen Saver, restart, shut down, eject a drive and more. 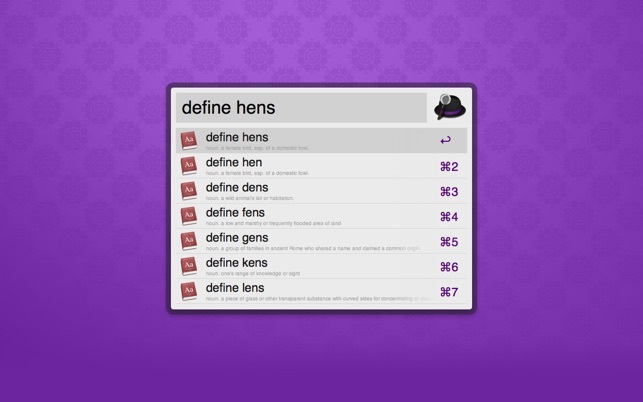 * Custom Searches: Create your own web searches for frequently used websites and wikis. Ward off RSI - skip using the mouse with this fast and beautiful app. This is a huge release with 2 new colour themes, Large type support and much more! 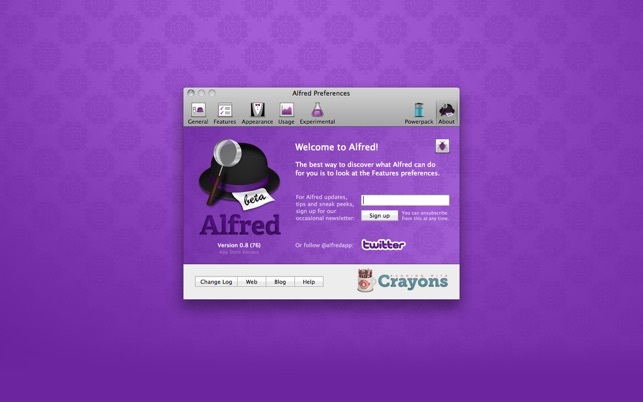 See alfredapp.com for more details.